View discount for preferred partners. Our physiotherapists, massage therapist and podiatrist offer musculoskeletal services to the general and sporting population in Winchester. We have created a team of locally based Winchester Physiotherapists and allied health professions, recruited on the basis of their diagnostic, treatment and personal quaities. We are highly trained with a wealth of experience and all our staff are fully qualified and HCPC registered or equivalent. We benefit from some established links in Winchester, Basingstoke and London affording you the best service possible. We are registered with most medical insurance companies. We currently offer services encompassing physiotherapy, acupuncture, pilates, podiatry, therapeutic massage, sports massage, pregnancy massage, and exercise prescription. We pride ourselves on our reputation, offering first class physiotherapy, podiatry, and massage services in an excellent modern practice. Our location at Winchester Racquets and Fitness benefits from ample parking, a pleasant waiting area with a cafe and bar, a spacious fully equipped gym and a private treatment room. As Winchester physiotherapists and allied health practitioners, we take pride in serving the local population in Winchester, however our location also means we are easily accessible by car from Chandlers Ford, Romsey, Totton, Twyford, Salisbury and Andover. 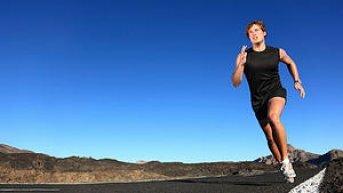 "I had been experiencing shin pain whilst running, as well as swollen and aching knees post work out. I got in contact with Andy and arranged an appointment. Andy's attention to detail, experience and knowledge, meant that after a couple appointments, I no longer had pain or swelling. I highly recommend Andy to my family and friends and to anyone who wants quality and professional care." In proud partnership with Hobbs Rehabilitation. Independent providers of specialist neurological rehabilitation services.